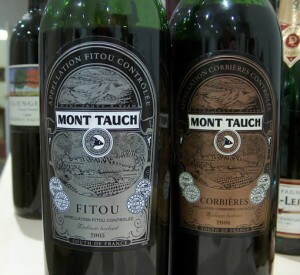 400,000 bottles of counterfeit Fitou wine circulate on the Chinese market. The bottles probably contain Chinese “wine”. GUIYANG, Sept. 10 (Xinhua) — China will mark alcohol products with digital IDs to combat fakes amid the country’s roaring alcohol trade, ministry officials said Friday. Each bottle of alcohol, such as liquor, wine, or beer, could be traced through its unique digital ID during production and trading, said Wang Bingnan, director of the market operation department, the Ministry of Commerce (MOC).